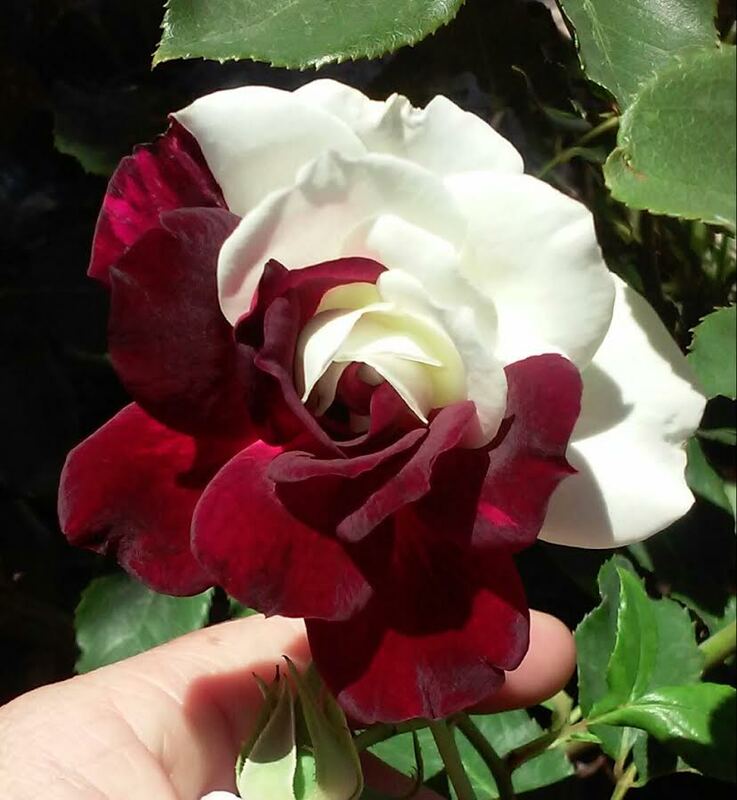 Photos of this hybrid tea rose with a lovely white center,& trimmed leaf edges took the internet by storm. When planting Osiria rose bushes, you might end up disappointed that your plant doesn’t look like the photos. 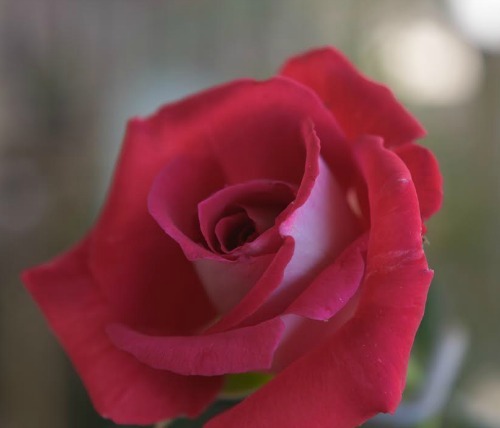 Find out why you might have trouble with this pretty rose, and check out these Osiria Rose care tips to help with growing this fragrant rose. Finding this pretty Osiria rose for sale might also be a challenge for you, since many growers don’t stock it. And don’t think that Osiria rose seeds will give you the look you want, either. Reviews that I have read show that they don’t germinate well. 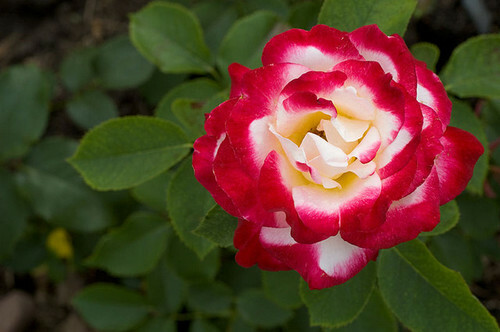 This lovely rose was created by cross breeding hybrid roses with tea roses. Eventually this gave rise to a rose with petals that are red with white interiors and bright red edges. Red roses have long been used as a way to show deep love and passion for another person. Find out what the other rose colors mean in this post. The meaning of the name Osiria rose has several possibilities. It’s origin doesn’t give much insight into the name. This stunning rose was originally bred by Reimer Kordes in 1978 in Germany and then introduced to France, who started calling them Osiria. To get more of an idea of the name, we can go back in time. Some think that the term Osiria is loosely linked to Egyptian mythology. Osiris was the god of the dead and the judge of the underworld. 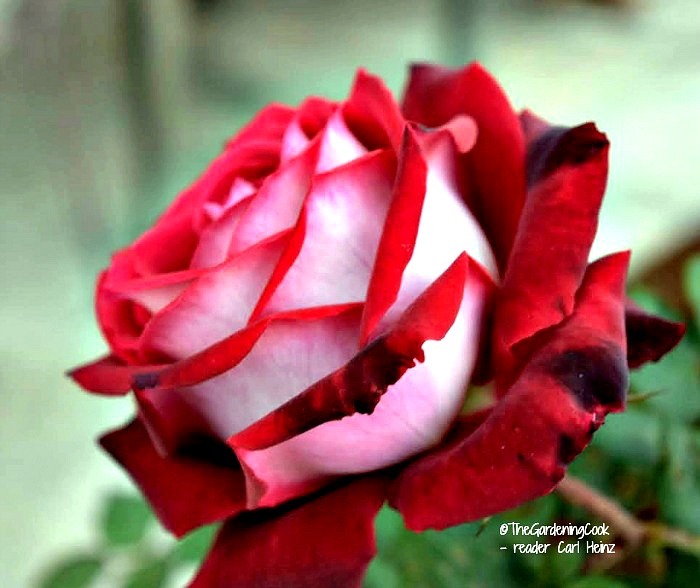 Having the stark combination of red and white colors together on one rose gives the impression of blood to the rose. Some others believe that the rose is named after a sunken island similar to Atlantis named Osiria. Whichever you believe, the lore behind the name is as alluring as the rose itself..
Osiria Rose care can be a bit of a challenge. Not only is this rose with its white center and rimmed edges quite hard to find here in the USA, it also tends to be a bit on the weak side. The beauty and fragrance of this rose makes it worth the extra time and patience that it requires though..
All roses are gorgeous, but some, like this fragrant Osiria rose, just take your breath away. If you love growing perennials, you are probably looking for unusual roses when you shop for new plants. The osiria rose has become something of a social media icon, and the image is shared on Facebook, Pinterest and Stumble upon often. This post is one of the most popular ones on my website. 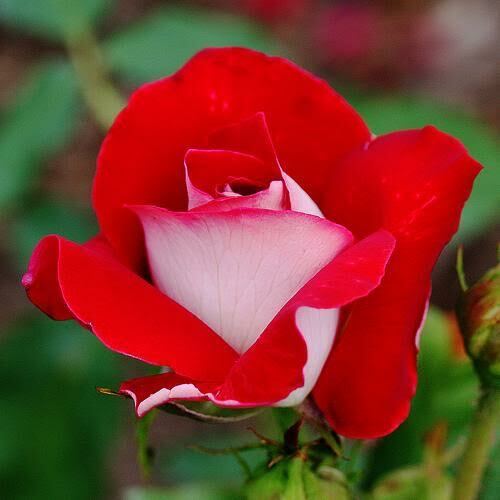 Osiria rose care is also quite difficult, since this rose is a challenge to grow. Unfortunately, many of the images, on the internet, of the rose are highly photo shopped for dramatic purposes. The colors in real life are not quite so dramatic, it seems. The photo at the top of this post is one from a reader that shows the true colors and the photo below is one that travels the internet which I believe to be heavily photo shopped. Osiria Rose care can be quite a challenge and the rose is difficult to find for sale. 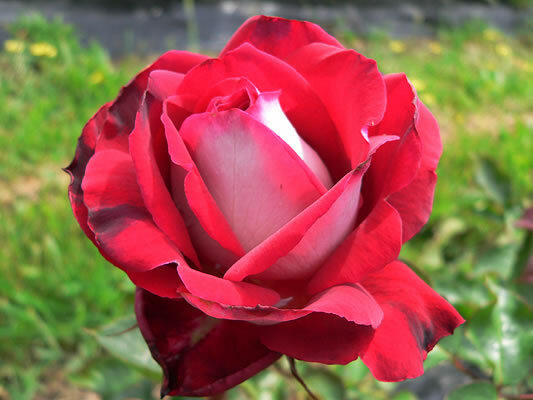 When you can find it for sale, Osiria is described as a hybrid tea rose. 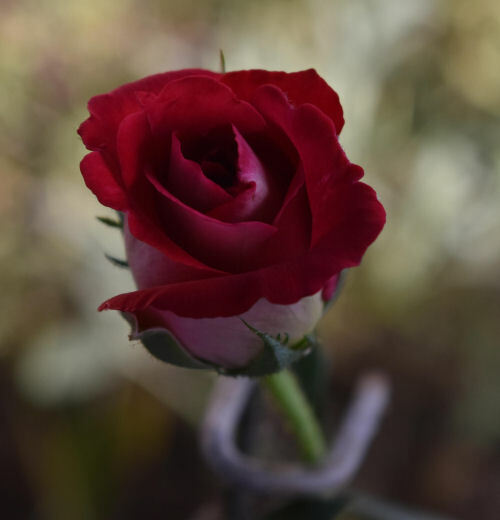 (affiliate link) This links to an Amazon page where the rose looks similar to the photo below from Garden Web but it is not labeled Osiria. It is a very large flowered bush rose with dark green leaves. In summer and autumn, the fragrant, double flowers come out. They are just stunning. I have seen this rose, with this picture, offered for sale as rose seeds on Amazon, but the reviews on it are not very good. It is slow to re-bloom. For these reasons, the suppliers at Palatine nursery were concerned that gardeners new to rose culture would be so disappointed in the rose that they would not try other varieties of it in future so they discontinued production of it completely. 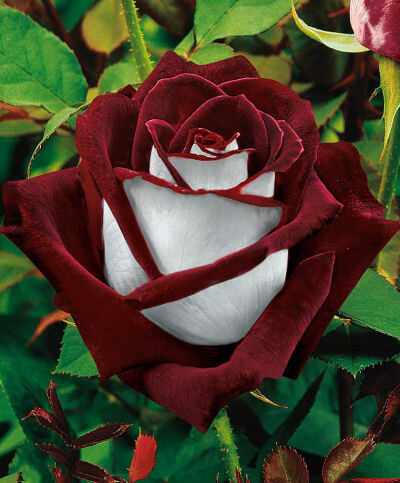 If you are still interested in trying to grow this rose in spite of the shortcomings on it, you can buy Osiria rose seed here. I have not tested the seed to see how it grows, but the images are mainly photo shopped, so buyer beware. I think that it is unlikely that the seeds will grow from the reviews but if you do grow it with success, please email me to let me know. I would love to see a photo of it too. One of my readers, Tracee, has emailed me to tell me that she has some Osiria rose seeds. If you email her, she will give you her address so that you can send a small self addressed stamped envelope to her. She will send the first 9 people who reply a package of 10 Osiiria rose seeds to try for free. Tracee is also going to try to sprout 10 herself. If you do this and they work for you, I would love to see your photos! Uses: Beds and borders, cottage gardens, flower arranging. Photo of Osiria that has not been photo shopped: (to my knowledge) More photos of it on this link too! Magic Garden Roses stocks the red variety too but have sold out, although they do state that it will be available this year. A photo of their variety of Osiria is quite different from the photo shopped internet version of it but still lovely. The colors are much more muted. Update. One of our readers Carl H. Purchased a rooted cane from Roses Unlimited. He was on the waiting list for a few months before they shipped to him. When it arrived, it was a small cane with three buds on it. Carl said ” We moved it to a larger pot using Miracle Grow potting soil and added some B1 when watering it in. Even though it’s small, some buds are starting.” Here are two photos showing the Osiria ruby rose as it grew. And another as it started to open. Not the dramatic photo shopped look, but still a pretty rose. Here is an update on Carl’s Osiria rose. One of my readers just shared this photo and some more information on Osiria rose care. Carl says that the rose seems to be putting it’s energy into blooms. The plant is quite small and Carl has almost lost it a couple of times to black spot and mites. The bloom in the picture reached over four inches and lasted several days as a cut flower. Carl thinks it will take a couple more years before he feels it is safe to plant outside. And he adds” I can understand now the comments that it’s a difficult plant to grow. Thanks for sharing this Carl. This is a photo from a reader Tom. He purchased his from Palatine but is a bit disappointed in the color since it is not what he expected, but he says it has a great fragrance. 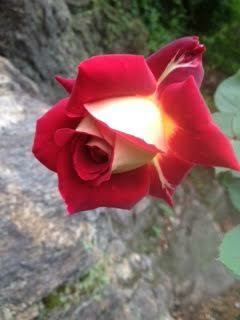 One of my readers, Pam has grown this Osiria Rose. She told me that this is an original plant from 1940’s that came out of her Grandfather’s garden in Birmingham, AL. She transferred it to Washington state. It looks as though is loves its new home Pam! Here is another photo of an untouched Osiria rose submitted by Tammy B. I love the way the colors show on opposite sides. So pretty! Tammy said that all she had to do to get this gorgeous thing to grow was to water it, prune it and put down mulch. Several of my readers have emailed me to tell me that they have gotten Osiria roses in bunches of cut flowers from Walmart stores around the country. Roses will root from cuttings, so if you are lucky to find Osiria rose as a cut flower, you could try growing them this way. 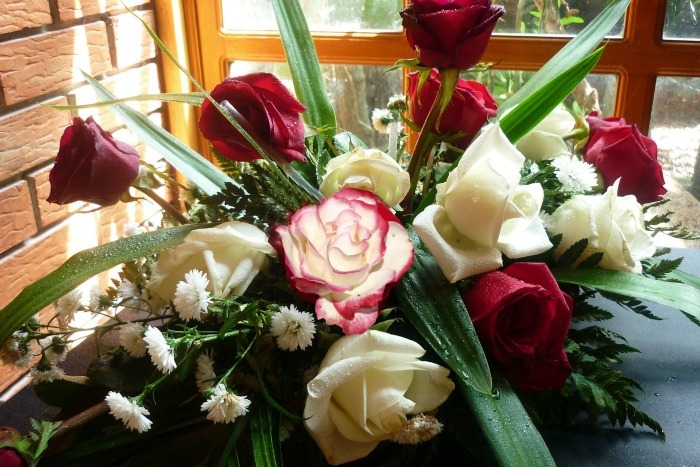 One note though: Most roses are grafted onto root stock that is different from the rose on top, so the end result might not be anything like your cut flower in appearance. If you do have luck this way, please send some photos and I’ll add them to the post with your tips. If you have grown this rose with success, please let us know, in the comments below, where you purchased it and also how it grew for you. Canada? Rats. It probably wouldn’t do well here in South Georgia then. It’s like here’s this great rose, but you can’t have it! I live in FL, so neither can I.
I know. I so wanted one here in NC. That’s the most gorgeous rose I’ve ever seen. I would love to have it here in t’ville NC! Hi Mimi. Me too! I also live in NC. Have not yet found it though, although they have them at the rose gardens here in Raleigh. Consider a Love Grandiflora. You can pick them up for 12-15 bucks. I’ve had pretty fair luck with mine in Charlotte, NC. Or a “Fire and Ice” http://www.edmundsroses.com/dp.asp?pID=23710&c=6 Osiria are really prone to disease and bugs, have few blooms and do not repeat bloom . Fire and Ice or Love rose bush is a much better choice, and actually have the bi color petals. Hi there Stony Point here from NC . I have some seeds will post how it goes. As far as I know the retailer in Canada is the only one I know who has it. See link in article above. Donde encuentro una de estas rosas? Osiria is a beautiful Rose, can I get this plant in India, (Maharashtra, Pun e.) ? If so please send me the link. I have found there are a few places in california. But they sell out quickly. Best bet is to order early September. Thanks Patricia. I’ve had so many people both here and on my Facebook page who want to get one! I bet she is a beauty too! That is good to know. It is definitely a hard one to find here in the US. I have people asking me all the time where to get them. I just purchased seeds on eBay. they do not ship to the u.s.a.
they do not send them from the u.k. from “Spaulding nursery. I have 3 bushes – great fragrance – they thrive here in the mts of BC Canada. Got them a couple years ago from Lindenberg Seed Co in Manitoba. I just purchased some on ebay today. What I would like to learn is the optimal conditions for growing them. I will study this so that there is the greatest chance for success. Since this is August already, it seems that growing in a pot indoors would be the best idea. Any hints would be appreciated. These are the finest looking flower that I have ever seen. Thanks for your information ! Hi Susan, I have not grown one so I can’t really say for sure, but my guess is that it should be grown like any other rose would be. The link to the Canadian supplier just says that it grows outside in zones 6-10 and gets to about 3 feet tall and reblooms. Also says that it needs winter protection. I’ve not had much luck with growing roses in pots. All of mine are in the soil outside, but I live in zone 7b. I bought a bush here in W.V. It bloomed around the end of July!!! it is the most Beautiful Rose I have ever seen! It has not bloomed since…. Can you give me some information on when to expect it to bloom and also so pointers on how to care for it? Where in West Virginia did you purchase the osiria rose. –dealer and location, thanks. I live by Parkersburg, W.Va. Where in W.Va. did you buy your rose? Amee Harbin where in W.Va. did you buy your rose? I live by Parkersburg. I hope more places begin selling these fully grown soon. I do live in Canada, but these roses are not available in any local flower shops. I got my boyfriend to go on quite the scavenger hunt looking for them after I saw their picture and became absolutely infatuated with them. I am a huge fan of Alice’s Adventures in Wonderland, and they remind me greatly of the red painted white roses! I hope to have a bouquet of these at my wedding! So beautiful. I might have to try purchasing some seeds and growing my own, but I don’t have the greenest thumb when it comes to seedlings and I think it may be too cold where I live for them to thrive. Phooey! Discontinued, due to plants being disappointments, and most images displayed on the internet have been photoshopped. Hi i found my roses on Aliexpress.com 50seeds 20 different colors… i just have to freeze my seeds for a while before i grow them. How long do you have to freeze the seeds i got 5 colors 250 seeds off of aliexpress why do you have to freeze them? this rose is not for sale anymore at Palatine roses. I have had this growing since spring of 2013 now. I only got 2 roses the first year and about 3 the next. This spring so far I have gotten 5. I love this rose and I have sent you two untouched photos to your email. I was on the Roses Unlimited waiting list for a few months, and they sent a plant from a rooted cane. It will be a while before I think it will be ready for planting in the ground. We moved it to a larger pot using Mirical Grow potting soil and added some B1 when watering it in. Even youth it’s small, some buds are starting. Guess we’ll get to see how close it actually comes to the photoshopped pictures. Hi Carl. I would love to see the photo when it grows so we can all compare! Were you able to get more than 3 roses this year. I live in Wa we grow roses all the time. Where in the world do you find it. Similar rose is Snowfire I think it is easier to find. I was able to grow it successfully jn Southern. California. Thanks for the info Sharon. Good to know! Hi Carol, I grow roses from cutting. Now it’s look like Osiria Rose(Blood Red&pure white beauty) that I bought from Walmart in Fort Smith,AR. by product of Columbia as fresh flowers. The color inside is Red mix Orange mix Brown & outside is some white,some white mix light yellow, it’s really beautiful. I hope they’ll grow roots&leaves asap. Hi Carol, Osiria mine grow from cutting the name is OSIRIA TWILIGHT as red mix orange mix brown inside & creamy mix white mix light yellow outside & yellow underside. I can’t wait to see the photo! Hi Carol, all my Osiria just start to grow light green tiny spots. the green color the leaves haven’t spread yet. my others already spread the leaves. just now at WALMART I bought the RED inside & WHITE outside w/WHITE underside. and LIGHT PINK inside & WHITE outside (smell sweet). I’ll let you know later on. Hi Carol, yes for cut roses (not plants) all I bought from WALMART for growing my roses from cutting. I bought one last year, this is its first flowering for me. It’s just starting to sprout for this season so am looking forward to it! I live in Tasmania, Australia, cool temperate zone ? Sorry I should have been more specific! The photo is my rose in its first flowering for me last season. We are just approaching spring here in Australia so it has just started to produce shoots after winter and looking a lot stronger this year! I have it planted in a wooden barrel in a part of the garden that gets full sun in a mix of compost and potting mix. I bought it as a bare rooted plant on order. I’m excited to see how it does this year now it is established! I’ve included another photo ? Yes of course! Knock yourself out ?? I have an osiria rose which I bought many years ago as a small bush from a gardening company. I found it slow growing, not easy but lovely flowers. I live in North Wales UK. You can email them to me.